According to Bill Weinmann, Director of Facilities, he has three projects he is currently working on and hopes to complete by the end of the school year in May. The projects will include reintroduction of native and drought-tolerant plants and installation of drip irrigation to areas near the residence halls (Stauffer, Johnson, and Ball), Mendenhall, and the campus center on the corner of Earlham and Painter. He also stated how he would like to have grey water systems installed using the Campus Inn’s grey water before school is out in May. Using grey water systems and native plants can be beneficial to the environment and also to the campus’ budget. The addition of these new projects can make Whittier College more sustainable. One of the projects that Bill would like to do for this semester has already been started. They started to transform the area near Diehl Hall. The whole project would include a passage way that would continue from Villalobos to Diehl and on towards the library and Platner and then ending by the freshman dorms. This is a large area of land that is a major part of campus because it would be taking place in both the Upper and Lower Quads of campus. The areas in front of the freshman dorms have not been started on for this project yet but there are plans to start soon. Bill said that their plan is to gut the area rid of much of the grass and plant natives and drought tolerant plants. He also would like to put a drip irrigation system in this area as well. This project will take some time to complete because a majority of the project has yet to be completed. The area near Villalobos is a significant amount of land and will take time to complete on that part of the project alone. The area near Platner is complete. The area by Diehl has been worked on but there are other additions that are supposed to take place for this project. Hopefully by May there will be a complete or nearly complete sustainable section that we can add to our new and improved sustainable campus. 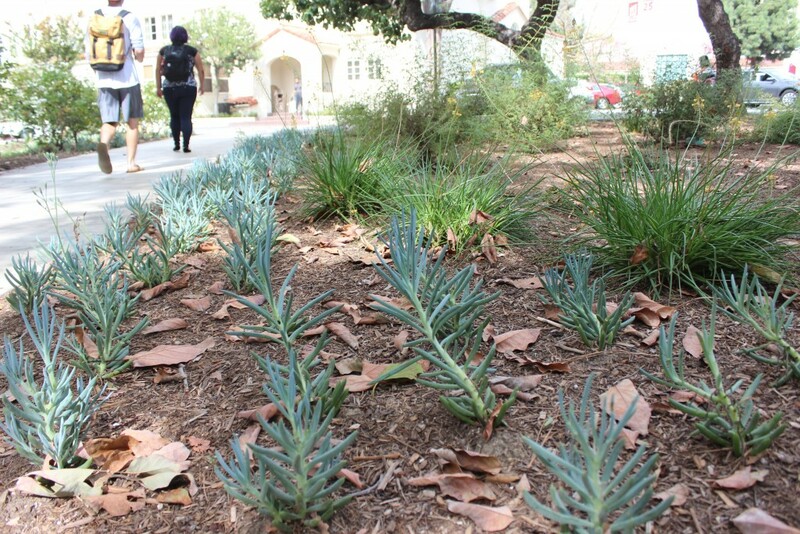 Drip irrigation is becoming a vital part of the Whittier College campus. It is necessary to find a middle-ground between aesthetics and sustainability. This process can be a part of that mediation. It does not take up a large amount of space and can be easily disguised and hidden. It reduces energy costs as well as it uses less than half of the amount of water that sprinkler systems use. Although it can be costly, it has been proven to pay off in the future. The only negative to the implementation of these systems would be that they could be easily damaged. To protect them, mulch coverings have been installed. With the addition of more and more drip irrigation systems, we will start to see more of mulch coverings around campus. Whittier College has started to implement drip irrigation systems for the Wardman Slope Project. However, there are further plans to install more systems around campus. There is a desire for the implementation of a drip irrigation system by Villalobos that goes through Diehl and to the freshman dorms. Also, installation on the corner of Earlham Dr. and Painter Ave. where the Whittier College sign is located in front of the Campus Center parking lot. Whittier College plans to have a grey water system that runs from the Campus Inn’s kitchen that flows to the plants in front of the Whittier College sign located on the corner of Earlham Dr. and Painter Ave. This is one of their long term plans that they plan to start now but it is a part of the five year plan that facilities has in mind for sustainable projects. It will take the cooperation of both Sodexo and Bon Appetit to complete this project. Bon Appetit does have the money set aside for projects specifically for grey water. They have about $20,000 set aside for it. Although they hope to have it done by May it could possible take longer depending on both parties. Grey water systems can be beneficial to the campus by not only a budget factor, but an environmental one as well. The potential effects of runoff can be detrimental to the environment when using fertilizer, but using greywater can in turn prevent pollution. Grey water can reduce the need for fertilizers and also add more nutrients to plants from certain wastes found in the grey water. There are high levels of nitrogen found in recycled water which can be helpful to naturally fertilize plants (Lafayette College). Also, using grey water can reduce water costs because it is being recycled from our kitchen to feed our plants. Recycling this water will save us money and time because it will be able to self-water the plants. There are two types of smart irrigation systems: climate-based and soil moisture sensors. For Whittier’s specific area and micro-climates, using a climate-based sensor would be more beneficial. According to a case study by the Irrigation Association, homes reduced about 16% off outdoor water usage and could potentially reduce it to about 24% (Diamond, 2003). Whittier College’s campus uses more water than a typical household uses but we could save at least the same amount of water if not more than the typical house. One of Whittier College’s goals is to save the most water that we can as a community to show our support to become sustainable and drought-tolerable. With the implementation of smart irrigation systems it will make maintenance of the land easier for Sodexo because they would not have to have as many controllers as they currently do. They would be able to control the whole system through one controller through the access of the Wi-Fi on campus and be able to virtually access it anywhere. Permaculture can be defined as the planning and design of human systems based on nature’s patterns and natural ecosystems to sustain food production while encompassing economic and social systems. This can help reduce the energy consumption of the campus, if used correctly. Due to Southern California’s many microclimates, choosing appropriate sustainable plants can be seen as difficult. There are avocado trees that are located next to Hoover and Menden Hall. These trees not only provide vegetation but they also shade a major pathway for people on c ampus to walk through and sit under. They are located in an area that receives sunlight and water; this positioning can be seen as successful due to the permaculture of these trees. In front of Wanberg residence hall, there is a small garden. Although it is currently undergoing modifications, it is a part of permaculture because the positioning of the plants is crucial to the amount of sunlight they get because the residence receives both shading and sunlight. Through the interviews that our class has conducted, there has been mention of more fruit trees being planted for consumption. This has not been confirmed as a future project because it is still being decided if the pros will outweigh the cons of planting more trees. Fruit trees need more water than other trees and Whittier College has taken various measures to reduce water usage. Also, Whittier College’s campus is built in the hills of Whittier. Deciding where to put fruit trees would be up for discussion because they would have to be on a flat ground. Lastly, trees take time to grow and may take too long to be beneficial for the short-term projects that are being put into effect at the moment. Permaculture is still a vital component to the plants that have been brought to this campus. It takes a lot of time and patience to plan permaculture however, most of is is trial and error; with this proposed idea of permaculture, Whittier College can make small changes around campus that can save water and electricity, and is virtually a free change! Diamond, Richard. Project review of irvine et controller residential runoff reduction study. June 2003. Web. 7 Dec. 2015. Lafayette College. The governance of technology: greywater and recycled water systems. Web. 7 Dec. 2015. Schmidt, Karl. Permaculture. 2008. Photagraph. We Are All Farmers Institute, Miami, FL. We Are All Farmers. Web. 23 Nov. 2015. 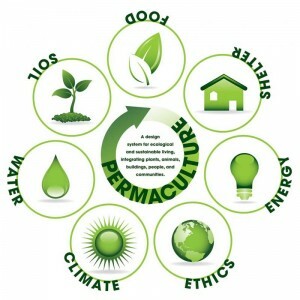 “What Is Permaculture?” What Is Permaculture? N.p., n.d. Web. 23 Nov. 2015.